Did you know that you too can have a stylish kitchen design, just like you see in magazines, brochures, and on TV? 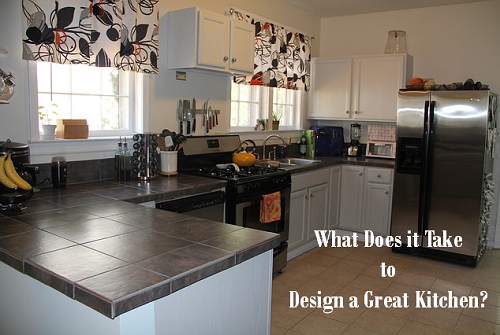 But what does it really require to create a great kitchen design? Are you one of us who enjoy flipping through magazines, brochures, and the like, all for the love of images of beautiful kitchens? Do you also admire their fine cabinetry with classic or modern finishes, gleaming fittings, nice looking hardware, wonderful kitchen counter-tops, snugly fitted appliances, and great mood lighting? If you do, then welcome to the “club” of millions of home-owners that are either looking for great kitchen design ideas, or simply savouring the beauty of images of dream kitchens. But did you know that you can have similar beautiful kitchens in your own home too, if you so desire? Kitchen spaces come in all sizes and shapes, and anyone can make the best use of the space they have, just as you can too. This is especially true about kitchens of smaller houses and down-sized homes.